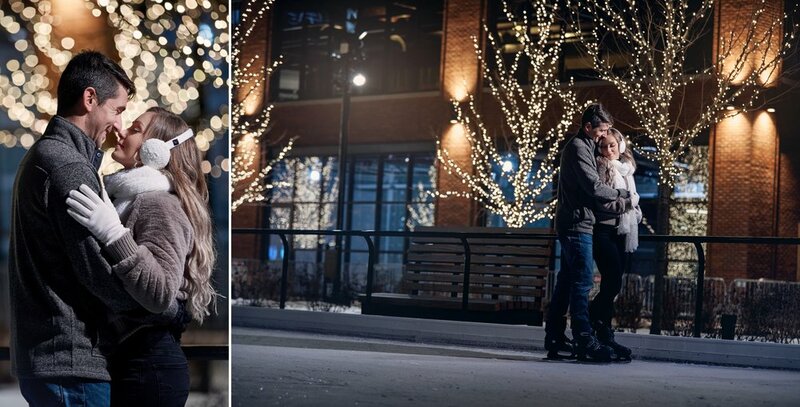 As they are quickly approaching five years of marriage this year, Phoebe (sincerelyphe) and Chad took to the ice rink in this romantic style session to express their ever growing love for one another. Over the years, I have had the opportunity to capture each of their milestones; from engagement to wedding, maternity to newborn, and more. It has been such a blessing to cross paths with Phoebe and her beautifully creative mindset. not only do I love watching her family grow, but her aspirations as a lifestyle blogger and visionary for interior design. This session was inspired by a handful of resources but primarily through romance and cinematic art. With that in mind, these two DEFINITELY helped bring all of my visions to life that night!